The retro runner sports a new colorway for a fun and playful color scheme to show off all summer long. 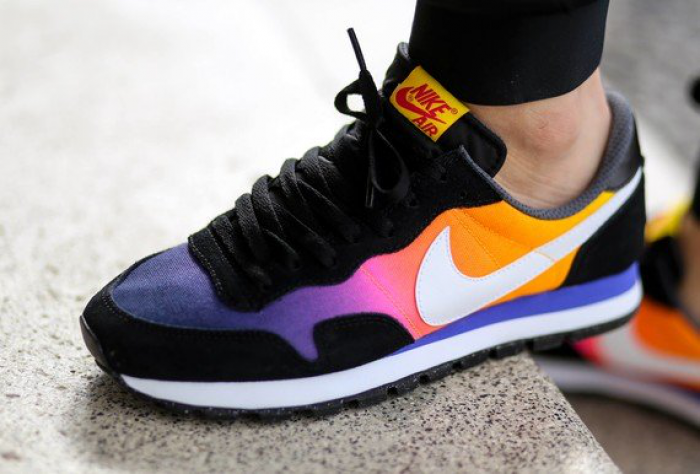 The Nike Air Pegasus 83 "Sunset" stays traditional within the outline of the OG model while being dressed in a modernized material color palette. The shoe in inspired by a true sunset by rocking a Yellow, Orange, Pink, Purple textile gradient along the upper. Black overlays adorned in suede hit the lace-up front, back heel, and toe box of the shoe with contrasting White paints the midsoles and Nike Swoosh. The hidden detail features Black speckled outsoles for that hidden gem. Grab your pair now just as the weather starts to warm up!